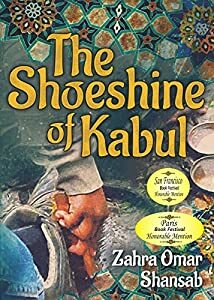 In his young life, twelve-year old Malik is forced to eke out a living as a shoeshine in Kabul, the capital city of war-torn Afghanistan. Despite the dangers and hardships that Malik faces daily, he chooses to be hopeful. He clings to his memories of the ones he has loved and lost and the friendships that give him hope. His curiosity and vivid imagination help him seek the adventures and surprises that life has in store for him. What would you do if you saw someone committing unimaginable acts of cruelty? Turn the other way or defend those in need—no matter the cost? That’s the dilemma thrust upon Persimmon, a clever and compassionate raccoon, and her loyal forest friends. Instantly, the courageous critters spring into action, risking their own lives to rescue any animal they see suffering at the hands of humans. What the team doesn’t know is just how rampant this violence really is, and soon their exciting rescue missions turn shockingly dangerous and deadly. 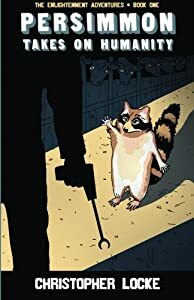 Will they succeed in saving the animals of the world from humans’ brutality, or will they fall victim to the powerful system of abuse they’re trying so desperately to end? Persimmon Takes On Humanity is the thrilling first novel in the young adult series, The Enlightenment Adventures, and for anyone who loved the intensity of The Hunger Games, the social commentary of The Jungle, and the heart of Charlotte’s Web, this will be your new favorite book. In 1984 Connecticut, sixteen-year-old Hannah Zandana feels cursed: She has wild, uncontrollable hair and a horrid complexion that she compulsively picks, and as if that weren’t bad enough, her emotionally unavailable parents mercilessly ridicule her appearance and verbally shame her. 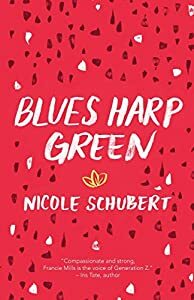 Wanting to change her pathetic life, Hannah attempts to impress a group of popular girls―an ill-fated effort, except that she captures the attention of Deacon, a handsome and mysterious boy who also happens to be her school’s resident drug dealer. 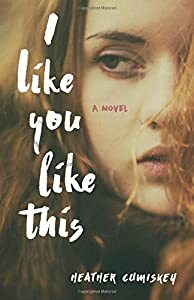 Suddenly, Hannah’s life takes an unexpected detour into Deacon’s dangerous and seductive world―but when her relationship and family unravel around her, she is forced to reexamine what she believes about herself and the people she trusts the most. The scourge of opioid addiction is deeply woven throughout world history, and our own Civil War produced roughly 200,000 addicts who spent their remaining years navigating shattered limbs and unstable minds. Fast forward a century-and-a-half. A 2016 report by the American Society of Addiction Medicine revealed that approximately two million Americans were addicted to prescription opioids in 2015. Specifically, overdose deaths related to prescription pain relievers took 20,101. 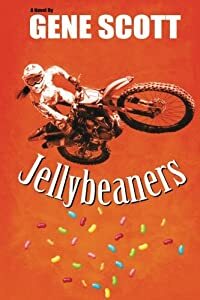 Jellybeaners is a contemporary novel set in the heart of Appalachia, revealing the money ties, political corruption, wasted lives, and overall cash-churning nature of the prescription pill culture from perspectives spanning both sides of the law. You dream of being comfortable in your own skin. You dream of going after what you want with confidence and feeling happy with your everyday life. But your fear and self-doubt are holding you hostage, causing you to feel trapped and powerless to change your situation. What if there was a way to change all of that? In this book, award-winning motivational author and Teen Confidence Expert Jacqui Letran is going to let you in on a little secret: you already have all the tools you need to do just that. You have extraordinary Inner Super Powers that will help you find your own happiness, self-confidence, and peace of mind--and it starts with you! *How to use your Inner Super Powers to dramatically improve your life--and much, much more! Stop secretly wishing you could be someone else or have a different life. You can learn to unleash your Inner Super Powers and create the epic life you've been dreaming of! 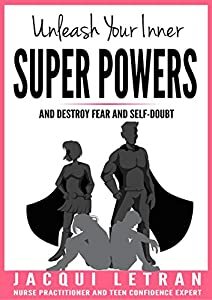 Unleash Your Inner Super Powers is an enlightening, practical book that will help struggling teens and young adults unleash their inner superhero--and change their lives for the better. Greenlee Lynn Granger is about to find out how easily social media can be used as a malicious tool: a normal teen one day and ruined the next. Who knew a boy's affections would turn her life into such a nightmare? Becoming a designated 'project,' a joke in front of the whole school, turns Greenlee's life upside down. Relationships with her family and friends strained, she is forced to make mature decisions. Greenlee knows her choices will determine the future of her abusers. An emotional glimpse into the reality of cyberbullying. 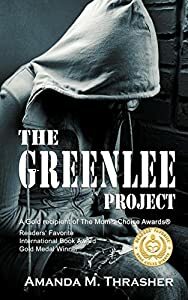 The Greenlee Project showcases the all-too-common anonymous and cruel betrayals of others through social media, of such magnitude that it devastates a young teen, her friends, family, and the community. Cyberbullying affects not just the victims, but everyone around them. After being the target of cyberbullying, what Greenlee does next is shocking. 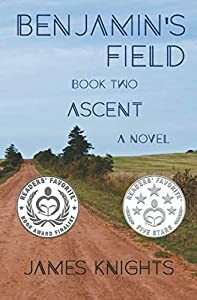 Benjamin's Field: Ascent placed as a Finalist in the 2017 Readers' Favorite International Book Contest. It was previously awarded a five-star review by the literary site 'Readers Favorite' (readersfavorite.com). Series Forward (Book 1: Rescue) by retired NASA astronaut Jay Apt, PhD, veteran of four space shuttle missions. The Benjamin's Field trilogy follows a family over the course of sixty years through war, peace, triumph, tragedy, heartbreak, and final happiness as they learn that the people and institutions meant to sustain society often fail - with tragic results. In Book Two, Ascent, Jeremy Kyner, now a teenager, becomes the focus of his teacher's animosity because of his infirmity. Jeremy's grandfather, Benjamin Kyner, his hired hand, a Catholic priest, a Jewish blacksmith, a courageous girl, a societal misfit, and an unwitting class bully form an unlikely, and at times volatile, partnership to rescue him from the smothering grip of prejudice. With their help, Jeremy literally takes to the sky, defeating his teacher's plans to institutionalize him and forcing her to reveal her own, dark, secret. Finally, Randy Bridgewater, the long-absent best friend of Jeremy's dead war-hero father, emerges from the past with a surprise twist that propels the reader toward the dramatic conclusion of the Benjamin's Field Trilogy. Benjamin'sField is a captivating tale about the journey of life, during which we each experience success and failure, joy and pain, and (if we are lucky) forgiveness and healing. Especially useful to young readers, but valuable to us all, are the story's lessons about this journey: our greatest achievements are for others, not ourselves; overcoming difficulties makes us stronger; disappointments can be blessings in disguise; help can come from unexpected sources; sometimes one door must close so another can open; it's futile to blame the universe or a higher being for pain that's inflicted by our fellow human beings. Do you have unanswered questions about your gender or sexual feelings? Are you worried about what other people might think of you if they knew? Or do you know someone who is struggling with their identity and you don't know how to help? You are not alone. Dr. Ron Holt has spoken to thousands of college-age students to help them make sense of their questions and their lives. 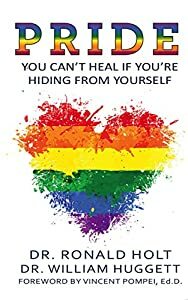 This book gives you information that has helped many people sort out what it means to be lesbian, gay, bisexual, trans, or questioning (LGBTQ). •Sexual feelings and your sense of gender are not things you choose. •What to do if others disapprove or don’t like you because of who you are. •How to deal with problems that might arise from prejudice, discrimination, and bullying directed toward you. PRIDE is full of stories, practical advice, and recommendations, bringing together the information you need to create a happy and fulfilling life. If you are questioning your gender or sexual feelings, or want to help someone who is, this book is for you! 2017 Independent Publisher Book Award, Young Adult Fiction eBook. 2017 Readers' Favorite Book Award, Young Adult Social Issues. The second Francie met Chet, her poetic memory danced. Meet Francie Mills. She's sixteen. Lives in the boring burbs of L.A. Is super determined and hopeful. And wants one thing: to be an amazing tennis player. Because if something exponentially, brilliantly wonderful like that happened, like winning the U.S. Open or even getting to nationals, everything would be okay. Her life. Her family. Her. She would matter. Be part of something important. And wouldn't have to feel so unbearably sad and alone every time her dad gets drunk, again. Are you tired of endless fights and misunderstandings between you and the people you care about? Do you feel like no matter what you say or do, you just can't get anyone to understand you? Do you feel powerless, or as though it is easier hanging on to grudges and negativity than to continue struggling? In this powerful book, Award-Winning Author and Teen Confidence Expert, Jacqui Letran, teaches you how to use five simple questions to transform your relationships from those filled with tension and frustration to those complete with trust and acceptance. How to create win-win situations, enhance and rebuild your relationships, and much more! If you want to be in control of your feelings, and to let go of things easily, this book is for you. This compact guide is filled with simple tips and easy-to-follow techniques. 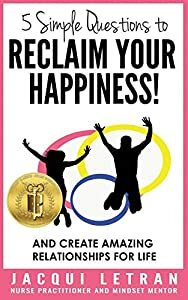 Get your copy today and get ready to reclaim your happiness and create amazing relationships for life!